With the last weekend of 2015 here, I'm excited to share a holiday party outfit idea for New Year's! With NYE coming up in less than a week, I'm all about sparkles and sequins for this special holiday. 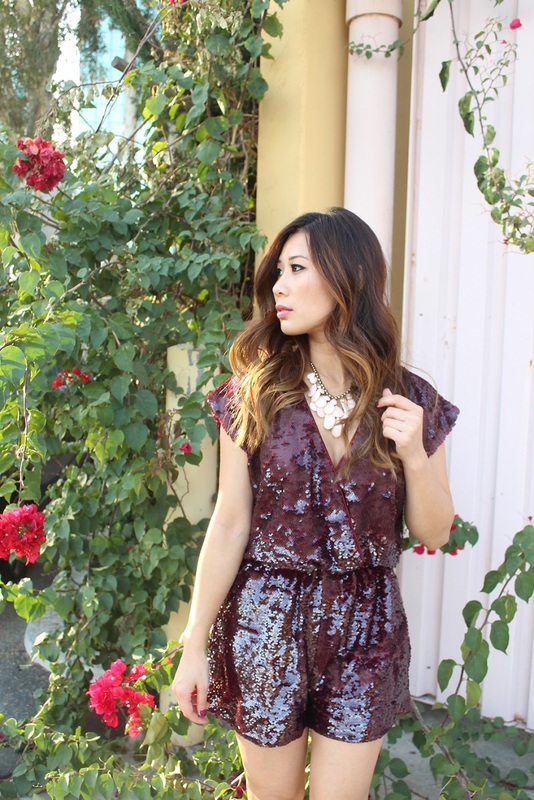 And what better way to shine than in a burgundy sequins romper from Dames & Damsels right? It's the perfect amount of glitz and glamour while still being comfortable to ring in the new year. 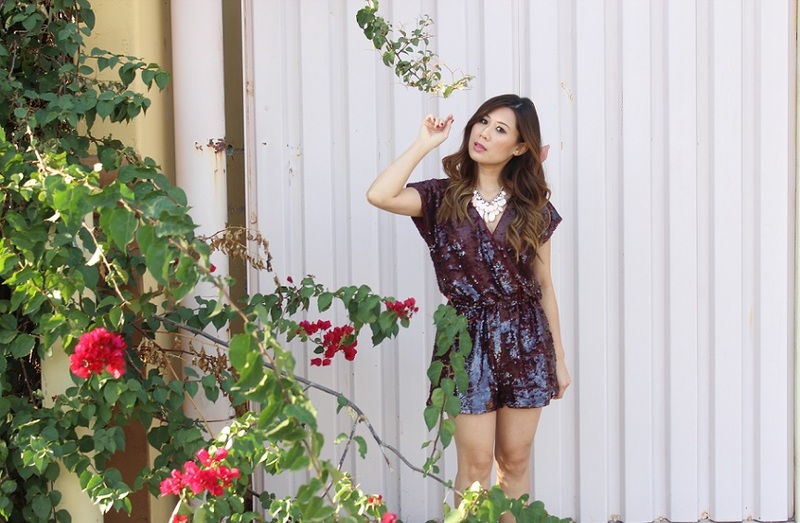 If you're still looking for a New Year's outfit, this is the place to shop! Dames & Damsels carries a variety of stylish party looks (also wore this HERE) and I'm loving all of their dresses (shop their holiday collection HERE). Cause when you have an outfit this good, you'll be ready for anything! 2016, let's do this. How did you celebrate Christmas? I spent mine in Los Angeles at our new family home overlooking the city and it was quite beautiful (did you catch it on Snapchat: kimberly_luu?)! Now today happens to be my mother's birthday so I'll be off to the cemetery to visit her shortly. Hope you enjoy the rest of weekend and all the holiday parties! Wow:you re so pretty in this look! Coming up with best corporate party ideas will propel your small party planning business to instant stardom! Planning a corporate party is always a challenge. That is why we may need holiday party ideas at some point in life. Just fantastic holiday party outfit! I am totally in love with this. I would love to buy this gorgeous sequin party outfit for my sister’s engagement bash. She will have a karaoke night at the domestic Chicago event space and think this dress is perfect for such an event.